Where I talk about my writing progress and share books I love with a splash of life as I go. WHAT TO DO WITH . . .
:):):):):)-Loved it. Will or already own it. 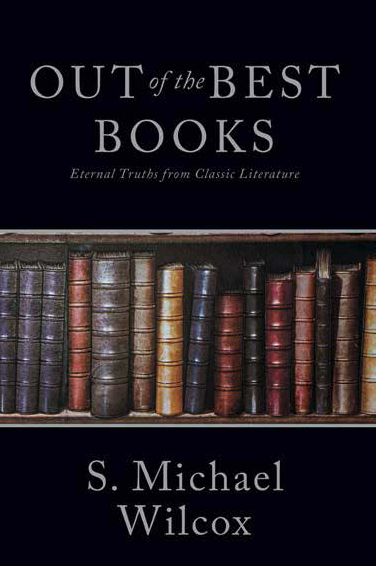 OUT OF THE BEST BOOKS by S. Michael Wilcox. I had the privilege to work with Brother Wilcox at the University of Utah Institute when I was attending school there. He was an amazing teacher there and his book was a work of art. I enjoyed looking at these beloved stories from a different, gospel light. It was interesting to read some personal experiences he had with some of the books as well. Many observations gave me something to think about the next time I pull these stories out. On a personal note, for me, it was difficult to read those chapters that had so many quotes and citations within the text. I know that wouldn't bother some people, but it was a distraction for me. Dispite that, I would recommend this book to anyone. From Anne Shirley in Anne of Green Gables to Jean Valjean in Les Miserables, the characters of classic literature have stood the test of time. There are countless reasons to pick up a good book—but is it possible to find eternal truths in secular works? 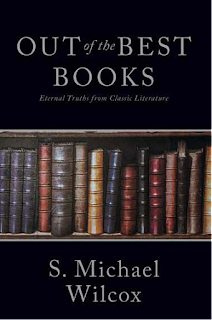 In Out of the Best Books, Latter-day Saint scholar S. Michael Wilcox demonstrates that when it comes to learning gospel principles, truth can shine forth in all good works—and literary classics are a prime example. With underlying lessons on life, faith, and eternal characteristics, secular works can inspire as surely as religious volumes. It is through the experience of characters like Atticus Finch, Elinor Dashwood, and Ebenezer Scrooge that their authors' inspired words have the power to create life-changing lessons for readers. Learn to find inspiration, wisdom, and spiritual knowledge in the age-old classics. God is in every good thing—you just have to look.